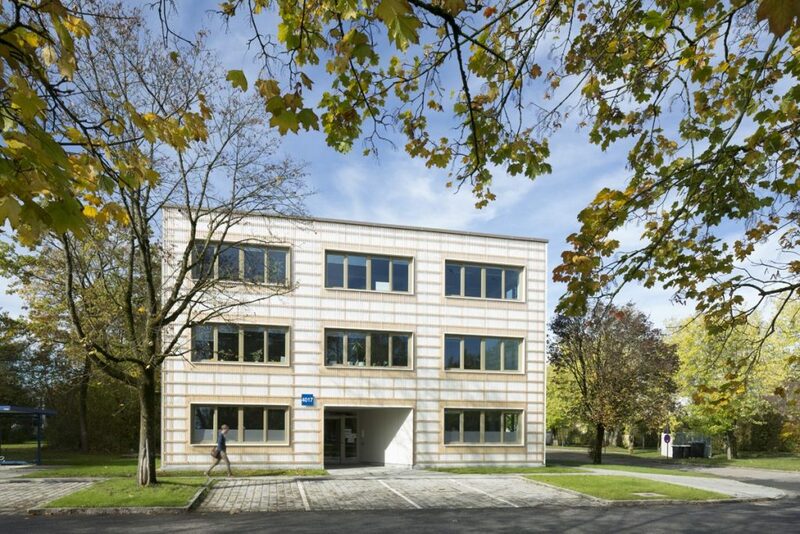 The Helmholtz Zentrum München required additional office space right away. First of all, a modular building offering expansion and additional stories capabilities was erected. Module 1 is a self-sufficient building. Its grid allows open, economical floorplan design that can also respond to different requirements in future. Currently, the module only contains three stories. But, taking future comprehensive planning into consideration, the structural design, dimensioning of escape routes and building services are tailored for an additional two stories. 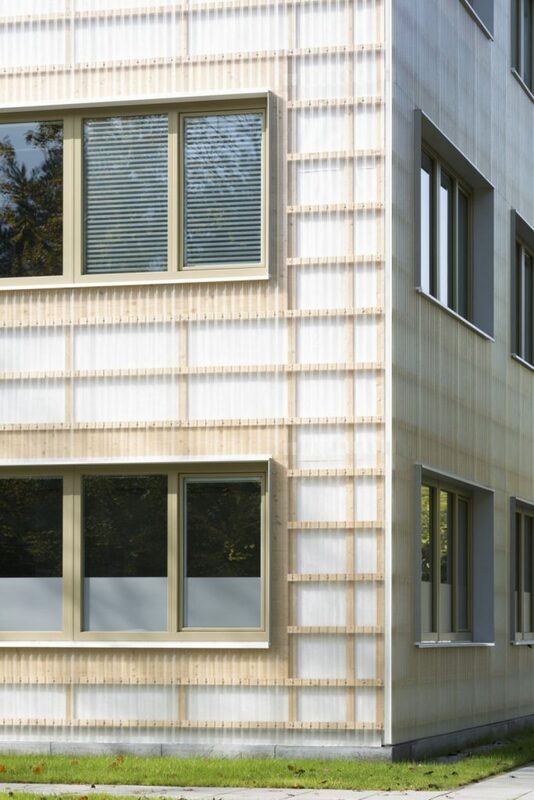 The façade concept for Modular Building 1 is based on a rear-ventilated, insulated assembly with weather-resistant, translucent corrugated acrylic sheets. Due to its multiple layers, the façade can easily accommodate the requirements for changes such as additional stories and expansion. 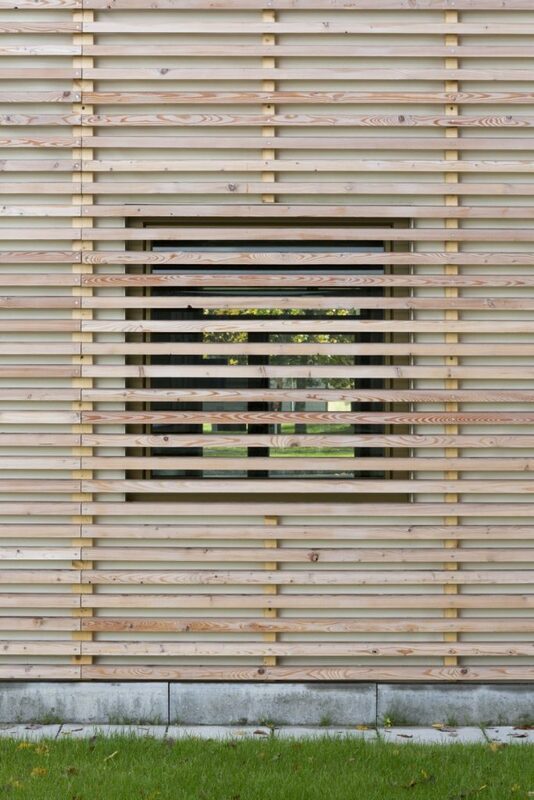 The material reflects both the owner’s requirements for durability and freedom from maintenance and the demand for visual depth and aesthetics.